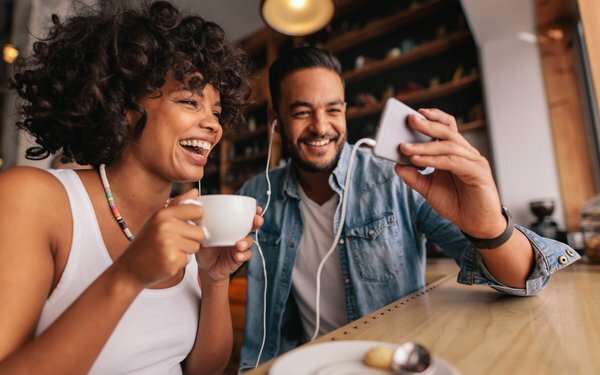 Millennials still watch a lot of video content, but increasingly, that content is being viewed on subscription streaming video services and on mobile devices, rather than traditional linear television. That is one key takeaway from a new survey released by the the advertising platform OpenX and The Harris Poll. The 2018 Holiday Survey, which tracks media consumption, advertising consumption and holiday shopping habits, specifically looked for areas of divergence between millennials and the public as a whole. While millennials still watch live linear TV, they watch less than half as much as compared to the average consumer, the survey finds. While 31% of consumers surveyed say they use subscription streaming video services to avoid ads, 55% of millennials do so. Usage of mobile devices, continue to surge at a breakneck pace. Millennials spend 5X as much time on mobile devices as they do watching linear TV, per the survey, and they spend significantly more time on those devices than older consumers. While 55% of all consumers spend at least three hours per day on their mobile devices, more than one-third of millennials spend more than six hours per day on their mobile devices. The full survey is here. 4 comments about "Millennials Prefer Subscription Streaming, Mobile Devices To Linear TV". Ed Papazian from Media Dynamics Inc, September 24, 2018 at 12:27 p.m.
A recent analysis we conducted for "TV Dimensions" subscribers got the same answer regarding how much time millennials spend with "linear TV" relative to other devices for theirtotal TV/video consumption, relative to older consumers---so we agree, in principle, about the "audience" aspect of this study. However the claim by 73% that they don't watch any commercials through traditional platforms---aka "TV"----is absolute nonsense as any advertiser who monitors ad awareness and/or recall by age group will testify. Somewhat lower levels---sure---but no attention at all---hogwash. Ginger Cookie from Consultant, September 24, 2018 at 6:23 p.m.
am sure its out there, though from a qualitative comparison point, the engagement metrics comparing mobile screening to linear specific to the M's....and if conversion can be tracked. Also addressable TV ads' engagement..must be out there....OpenX?? R MARK REASBECK from www.USAonly.US , September 24, 2018 at 9:22 p.m.
Nice job with the Corporate Speak, Ginger. I'm going to try and use "qualitative comparrison engagement metrics" in a sentence tomorrow. What is funny, is that people spend good money for giant wall screen TVs, but most M's watch it on a 3-4" phone screen. Now there is a "Conversion Factor"
Ginger Cookie from Consultant replied, September 24, 2018 at 9:57 p.m. Yes, just try not to lisp when you do the "corporate speak" tomorrow Mark...not to swift on your part.